Why might I need an attorney practicing in the area of wills, trusts, estates and Medicaid planning? How can Haggerty, Haggerty and Maschmeyer help me with the issues surrounding wills, trusts, estates and Medicaid planning? Why would I need to institute guardianship proceedings? Help in locating a nursing home link. How do I schedule an appointment with our firm? Few things are certain in life, but death is one of them. Estate Planning is therefore something that everyone benefits from, regardless of their estate size. Furthermore, advanced directives, such as durable power of attorneys, health care power of attorneys and living wills, can avoid the need and cost of guardianships and expensive legal proceedings by empowering a trusted friend or family member to act for you if you are physically or mentally unable. Medicaid planning can often transfer assets to loved ones and avoid the depletion of all assets to pay for nursing home care. How can Haggerty Haggerty and Maschmeyer help me with the issues surrounding wills, trusts and Medicaid planning? Most persons will benefit from a simple will package containing a basic will and the following advanced directive documents: general durable power of attorney, health care power of attorney, and living will. We offer a package fee for this service in the amount of $400 for individual or $550.00 for husband and wife. Persons seeking to avoid the time and expense of probate may benefit from a more complex estate plan, utilizing living trusts. Either approach ensures that your assets are passed to the persons you desire and in an efficient manner. Our attorneys will assist you in devising an estate plan, which meets your individualized needs, whether a will, living trust, family limited partnership, irrevocable life insurance trust or other compound estate planning tools. While many attorneys offer to draft simple wills and basic trusts, few focus on the intricacies of administration of those estates. Our clients have long recognized the value of beginning-to-end service. Our experience in handling the complexities of estate and trust administration ensure you that the provisions of your will, trust, or advanced directive document will be carried out pursuant to your wishes and in a speedy and efficient manner, whether a supervised estate, unsupervised estate, or small estate affidavit proceeding. There is a growing need to protect assets when, for instance, the well spouse must go to a nursing home or when the first spouse dies and the second spouse must go to a nursing home. Medicaid planning can assist in the goal of passing wealth to your loved ones, rather than to the nursing home. The benefits of long-term care insurance should also be considered. This is the fastest changing and most complex area of probate practice. Few law firms and fewer individuals have the expertise or experience to navigate this area of the law. We can help. We draft a Power of Attorney for our clients naming a trusted individual to handle their financial affairs in the event they become incompetent, certified in writing by their doctor. But many times, a parent, friend or family member does not have a Power of Attorney. Once a person is incompetent by reason of age, illness, or injury, the person can no longer execute a valid Power of Attorney. Yet they need someone to handle their financial affairs. When this situation arises, we can assist by appointing a friend or relative to manage the incompetent person’s finances under court supervision with regular, detailed accountings to the court. While this is more costly than a Power of Attorney, it is often the only available alternative. If the incapacitated person is so incapacitated that not only they cannot manage their financial affairs but also they also cannot care for themselves or make personal healthcare decisions, then a guardian of the person is also required. This is often times the case with advanced dementia and Alzheimer patients. This can be a traumatic time for friends and family. We have the knowledge and experience to help. Whether it is a stepparent adoption or a private placement adoption, we can assist in most cases and will refer you to competent counsel if the matter is outside our expertise. How do I schedule an Appointment with Your firm? 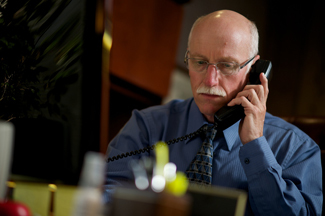 We offer a free, brief telephone consultation with an attorney to answer basic questions and to schedule an appointment to discuss your case in greater detail. Please call 317-786-2225 to schedule your appointment and for driving directions. We look forward to serving you. What is probate? Probate is the Court proceeding wherein your debts and taxes are paid and the balance of your assets are distributed to your heirs upon your death. Why avoid Probate? People seek to avoid Probate through revocable living trusts in order to avoid the cost of administration and delays associated with a formal Court proceeding. Are Living Trusts only for the wealthy? No. Anyone can avoid the cost and delay of probate through the use of an affordable Living Trust. The savings increase with the size of the estate. Estates under $100,000 often prefer the simplicity of a Will. But Living Trusts are no longer just for the wealthy. What is a Simple Will? A Simple Will divides your assets among your heirs, names a guardian of minor children, and names a personal representative to see that your wishes are honored. Why do young parents need a Will? Young parents need a Will to name a guardian of their children and establish a trust for their care. Your children are your most valuable asset. How much does a Simple Will cost? No good attorney would prepare a Simple Will without also preparing a General Durable Power of Attorney, Living Will and Health Care Power. We offer these four documents as a package for $400.00 for an individual or $550 for a couple. Who chooses the attorney to handle my affairs when I die? The person named personal representative in your Will or the person named successor trustee in your Trust may choose any attorney – not just the attorney who drafted the Will or Trust – to assist with handling your affairs after you die. How long does it take to administer an Estate? To administer an Estate, it takes as little as six months for a simple estate. Can I avoid Federal or Estate taxes through estate planning? Yes. Does the State take my assets if I die without a Will? Probably not. In the event that you die without a Will, a statute states how your assets are divided among your next of kin; however, it may not be divided the way you would have chosen. If there are no living relatives, it goes to the State. How can we avoid the nursing home taking all that we have saved and desire to leave to our children? Medicaid Planning and Long Term Care Insurance are the best options. If a parent, spouse or friend is in need of skilled nursing home care, call us to discuss how we can help. How does my Will affect joint and pay on death accounts? It doesn’t. Joint accounts and pay on death accounts with named beneficiaries, like 401k’s, IRA’s and annuities, pass directly to the survivor or beneficiary and are not transferred under the terms of the Will. What is a Living Will? A Living Will, often called an Advance Directive, is a document that tells your loved ones and your health care providers what procedures you do or do not want in the event that you are faced with a terminal and incurable condition and are unable to communicate. This is the best way to avoid needless machines and tubes, which can cause suffering and drain your estate. What is a general, durable power of attorney (POA)? A general, durable power of attorney allows you to name a person to handle your financial affairs, in the event that your treating physician determines you are not competent to do so, due to injury or illness. It also avoids the need for expensive and sometimes demeaning guardianship proceedings. What is a guardianship? If you do not have a general, durable power of attorney, and you become incompetent to manage financial decisions, then a guardian is the proceeding whereby the court determines your competence and appoints someone to manage your affairs. A guardianship involves court pleadings and hearings, and is therefore more expensive than a general, durable power of attorney but because of the court supervision, it offers safeguards not available through a power of attorney. What is a Health power of attorney (POA)? A health power of attorney names the person to make health care decisions for you, in the event that you are unable to do so, due to illness or injury. Terminal and incurable conditions are dealt with by a living will, which is the right to die with dignity declaration that states if you are certified terminal and incurable, then only pain medicine and water will be provided; no extraordinary measures such as feeding tubes and respirators will be administered. The health care power of attorney deals with health care decisions when you are incapacitated, but not in a terminal and incurable state where there is no hope for your long-term survival. How much does it cost to do a Will? Will packages are $400 for individuals and $550 for couples. Call or e-mail our office to discuss your estate planning needs and options.